[패턴영어] 내 마음 한편으로는 ~해. Part of me + 동사. Part of me + 동사. Part of me envies Bill. 내 마음 한편에서는 빌이 부러워. Part of me wants to go. 내 마음 한편에서는 가고 싶어. Part of me feels homesick. 내 마음 한편에서는 고향이 그리워. Part of me regrets the past. 내 마음 한편에서는 과거가 후회돼. Part of me can't stand to travel. 내 마음 한편에서는 여행가는 거 싫어. A: How does looking back over the years make you feel? A: 지난 세월을 돌아볼 때 기분이 어때? B: Part of me regrets the past, but not too much. B: 내 마음 한편으로는 과거가 후회되지만, 많이는 아냐. A: We're all fallible. We live and learn. A: 우리 모두 과오를 범하잖아. 살면서 배우는 거지 뭐. * How does looking back over the years make you feel? ; 지난 세월을 돌아볼 때 기분이 어때? 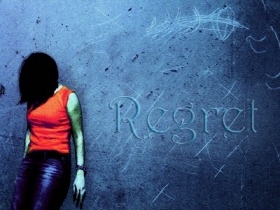 * Part of me regrets the past. : 내 마음 한편에서는 과거가 후회돼. * Not too much. : 많이는 아냐. * We're all fallible. : 우리 모두 실수는 하잖아. * We live and learn. : 살면서 배우는 거지 뭐.